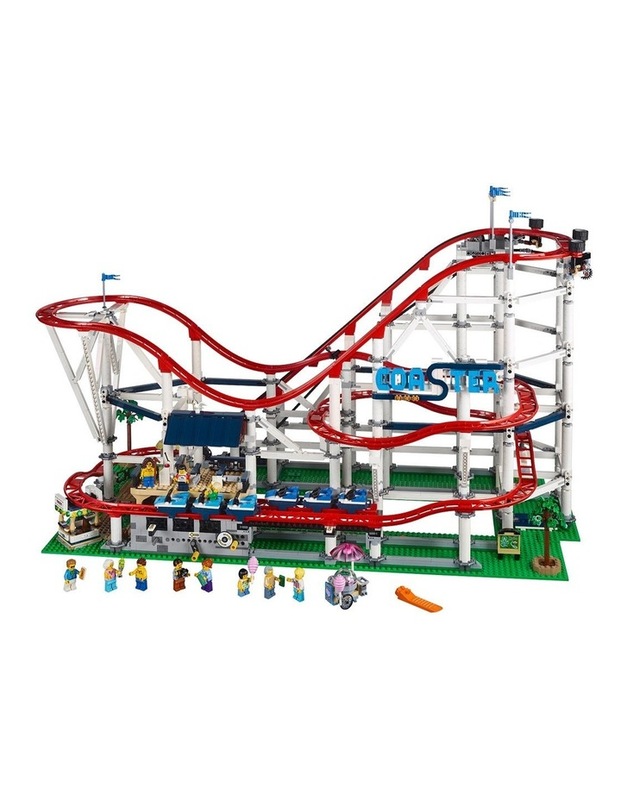 Fully functional chain-lift Roller Coaster model features a classic brick-built sign, control panel, 2 trains each consisting of 3 train cars with low-friction wheels, and a 44-piece track consisting of 7 different rail elements. No cheating at the height marker, the ride attendant has an accurate measuring stick! Don't forget to smile as you race past the camera! Upgrade the Roller Coaster with LEGO Power Functions for a motorized chain lift, or with LEGO BOOST for automated chain lift activation and realistic sound effects! 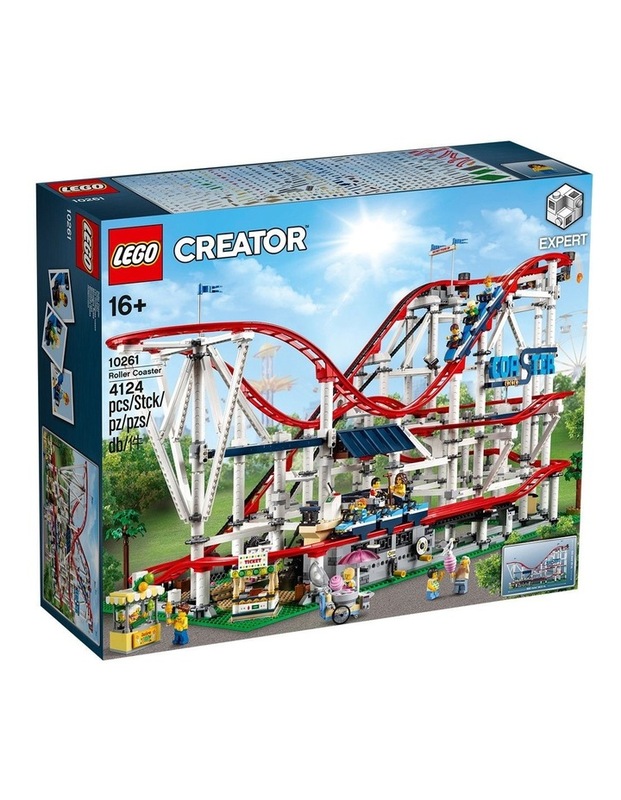 Makes the perfect fairground addition to the 10257 LEGO Creator Expert Carousel. Measures over 20'' (53cm) high, 34'' (88cm) wide and 16'' (41cm) deep.